In this blog, I share Khary's story, as well as the photos he took while practicing 40 Days of Joy. 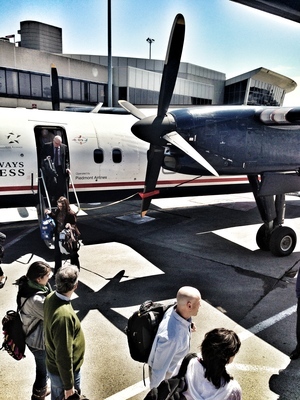 In January, I posted a blog that went viral: "40 Ways to Find Joy in Your Everyday Life." About a week later, I started noticing tweets from a fellow named Khary Penebaker (whom I've never met), about how he was checking items off the list. I reached out to him via Twitter to ask if he'd be interested in going on a #40DaysofJoy journey with me, in which he'd commit to performing one item off the "40 Ways to Find Joy" list every day for 40 consecutive days. Khary was game. We became Facebook as well as Twitter friends, and for the next 40 days, Khary utterly delighted and inspired me with his tweets, Facebook posts, and emails. Later, I interviewed Khary over the phone. When I asked what inspired him to take this journey, he said, "I'm always looking for ways to appreciate what I have in my life more." Did #40DaysofJoy work? Absolutely, Khary said. "Sometimes I found I was doing an item on the list just because I had to. But as soon as I got caught up in whatever that activity was, I just couldn't help but want to do more of it. I thought it'd be just another challenge. It ended up being far more awesome than that." In this blog, I share Khary's story, as well as the photos he took while practicing 40 Days of Joy. I'd love for you to join us. Just tweet or post to Facebook how you celebrated an item off the list (in no particular order), with a photo if you can, using the hashtag #40DaysofJoy. Let's inspire each other to find gratitude and happiness in our everyday lives! Khary often finds himself spending "too much time focused on making money," working long hours. Checking this item off the list granted him permission to take time to have a fun, fully-engaged Nerf swordfight with his son. It reminded him that his kids come first. 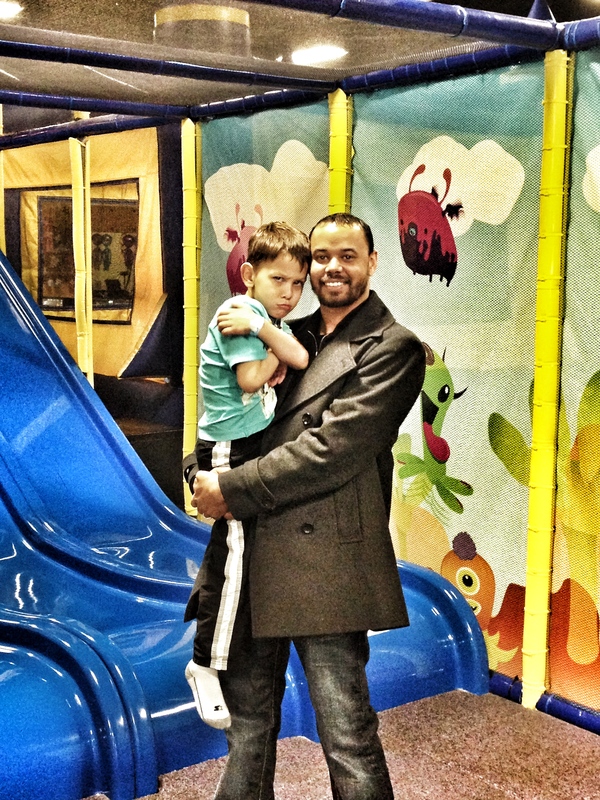 The day Khary completed this item, his son was having a birthday party at a place with huge slides. Although Khary had had a horrible day at work and arrived feeling angry and frustrated, by the time he left the party he felt much better. "Just watching those kids be kids made me forget why I was mad. I began to breathe easier," Khary said. 3. Learn something new (whether how to play a new sport or game, or how to cook a new dish). 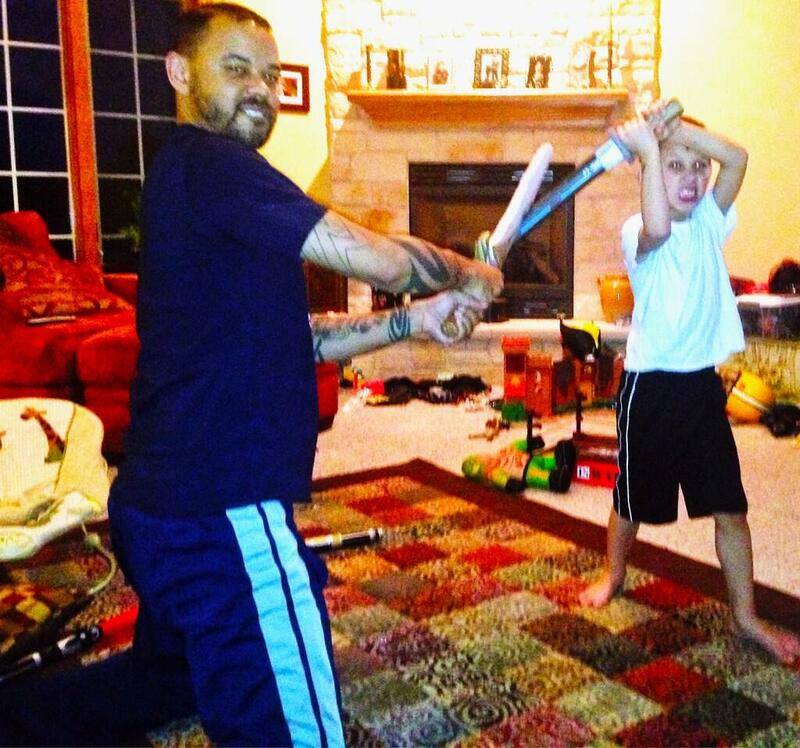 Instead of learning something new, Khary taught his 5-year-old son something new: how to play baseball. 5. Help someone in a small way (just by carrying their groceries or paying their toll on the highway). "I was real nervous about this one," Khary said. But one day, he decided to accomplish this item by paying for the lunch of the person behind him in line. He didn't tell the stranger what he'd done. Khary said he felt silly and embarrassed after, even though he had done something nice for another person. 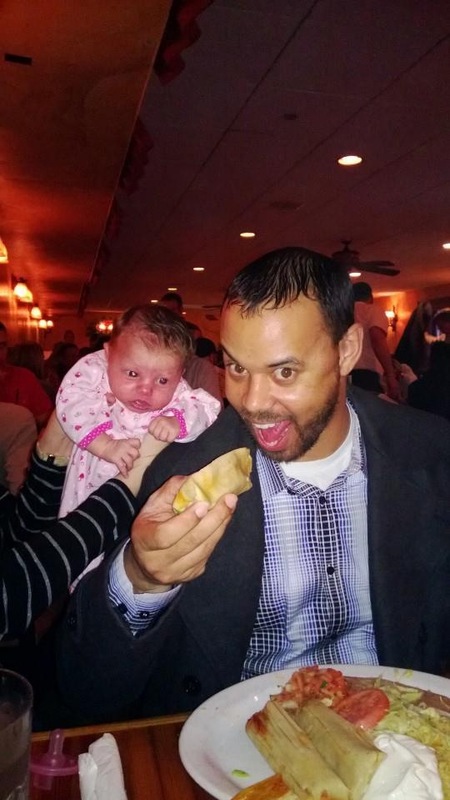 He vowed to try again -- and maybe even let the stranger know about his generosity next time. Khary made a list of his many blessings including: his wife, Amanda, who is "selfless, has a heart of gold and loves me and our kids more than anything else"; his kids; love; and God, who "never gave up on me." My favorite item on his list was this: "I am grateful for my past struggles. Frederick Douglas said it best: 'Without struggle, there is no progress.' Now, if I could remember that all the time, I'd be better off!" 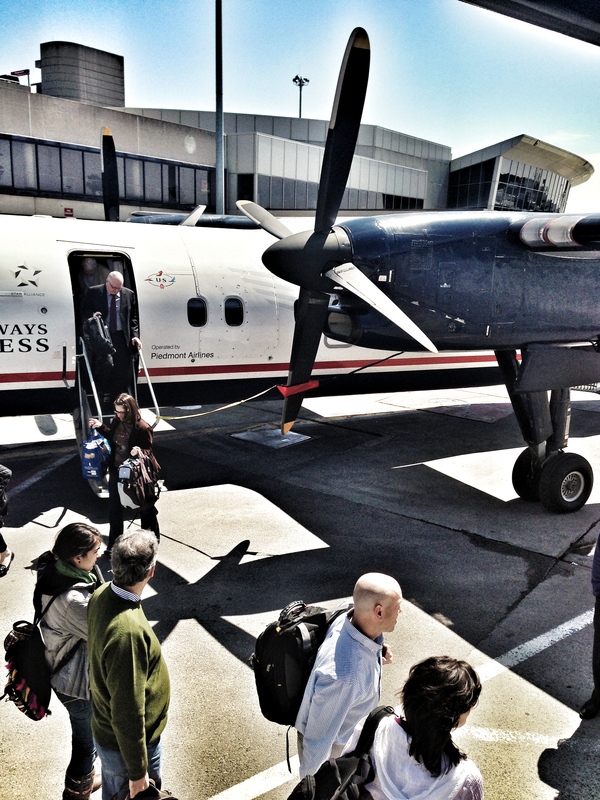 Khary took a work trip recently, which ended with a leg on a prop plane. 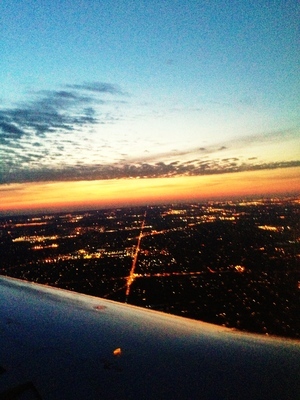 Even though he is afraid of flying, he managed to let go of his fear by surrendering to God. "I thought of this list," Khary said, "and I told myself that there was nothing to be afraid of." Khary claimed that he isn't good at romantic stuff -- at all. But he wrote an amazing love letter to his wife, and made this photo out of paper shreds to go with it. He took the passage "Love is patient; love is kind," from First Corinthians, which he and his wife had read at their wedding, and added his own context to it. Khary wrote to his wife, "You can have it all, but without Love, you have nothing. I was a millionaire by the time I was 26, yet I was miserable. Now I am a hundredaire, yet I have you; my life has been made a bazillion times better!" Khary and his son had a blast putting on their Halloween costumes in March. The movie of "The Great Gatsby" coming out inspired Khary to reread the book, one of his favorites. He appreciates how the story proves that even if you make a rigorous plan for success, life isn't contractually obligated to abide by that plan. "It's a great reminder that without LOVE, you have nothing. Without LIFE, you have nothing, either," Khary said. Then he added, "I didn't lose myself in a great book; I found myself!" 12. Laugh and smile, no matter how you're feeling. Usually, Khary listens to politics all day on Sirius XM. But on this day, he knew he needed to be lifted up, so he listened to comedy instead. And he felt better for it. Khary rocked out to "Faithfully" by Journey, using a pencil as his microphone. 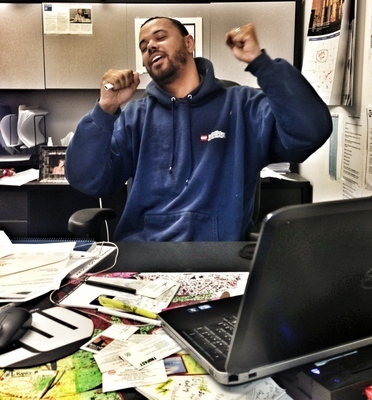 His co-worker died laughing, which only made Khary laugh out loud (#12) even harder. Khary said, "I was a little tired and cranky from having stayed up too late the night before, but thanks to Journey, my horrible singing skills, and some infectious laughter, my day got off to a great start!" Khary met up with another woman who was also on the #40DaysofJoy journey, Lanita, while on a work trip. They talked about what they were doing to be joyful each day. "It was a breath of fresh air," Khary said. "If you're in a desert and you're starving to death, and someone offers you a cracker... Well, Lanita is that cracker." 15. Dance. If you can't dance, just skip. 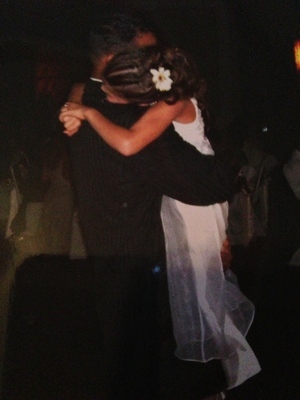 Khary looks back fondly on the father-daughter dance he and his eldest daughter shared at his wedding almost eight years ago. He cried the whole time. It was one of the peak moments of his life. After a show at Khary's daughter's school, Khary made sure to compliment a number of the 8th graders on what an excellent job they had done. See #13. Khary loves listening to uplifting music, and, even better, singing along. Khary volunteered at the Democratic National Convention, where he enjoyed being around people who thought like he did. He met an inspirational guy who was eager to involve Khary in other volunteer work for the cause. Khary decided to start a blog. He followed through and wrote his first post, about how proud of he is of his daughter for loving Macklemore & Ryan Lewis's song "Same Love." Khary went to Boston for work just a few days after the Boston Marathon bombing. He decided to join the city's moment of silence. 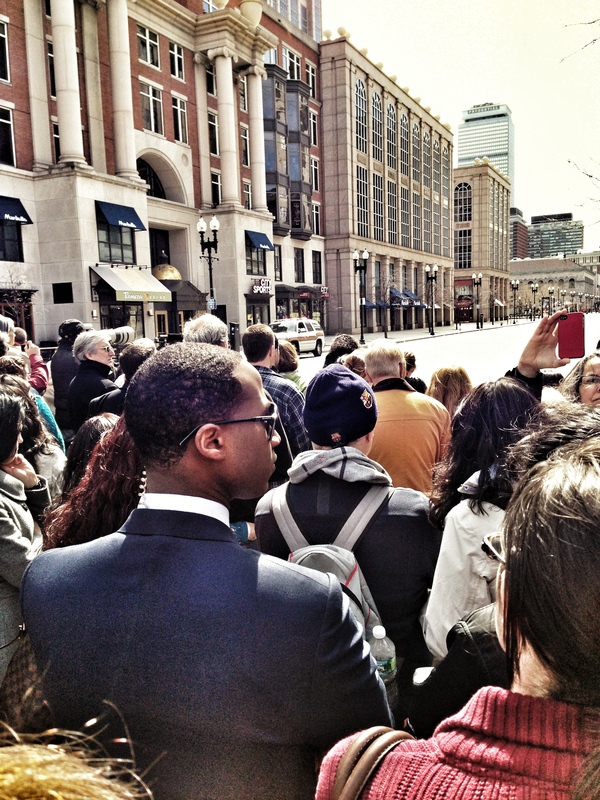 Watching the crowd, he noticed, "You could feel the humanity, the sense of community, the connectedness. A week removed from pure evil and horror, here we stood -- not angry or bitter, but together." 22. Write a thank you letter or Facebook post to someone for no particular reason other than just to say, "I appreciate you." An older friend of Khary's, who had been a local news station anchor, lost his job a while back. 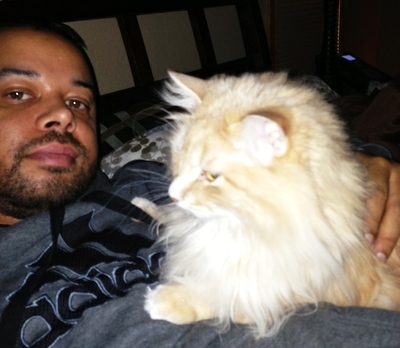 When he found a new position, Khary sent him a congratulatory note on LinkedIn. The friend responded by telling Khary how proud he was of Khary. "That really made my day!" Khary exclaimed. Khary checked this item off the list by mowing the lawn. His son wanted to play in the sprinklers while Khary was at work, so they both ended up filthy. Khary cheated on this one: He and his son baked brownies. "While they aren't healthy and we surely didn't eat them slowly, they tasted AWESOME," Khary said. Best of all, father and son got a chance to spend time together. 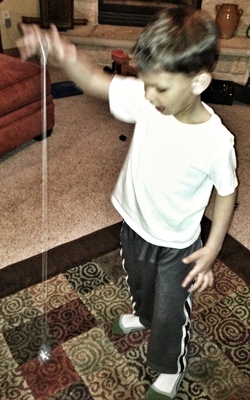 Khary taught his 5-year-old son how to yo-yo. Khary proudly proclaimed, "You haven't lived until you've met my son. His presence is a game/life changer!" This flyer was used in 2000 to promote Maya Angelou speaking on Khary's college campus. It's a photo of Khary's back, where he has her poem And Still I Rise tattooed. In honor of this item on the list, Khary tasked himself with getting reacquainted with his all-time favorite poem. "It was like falling in love all over again," he said. Khary found this one of the easiest items to check off the list. He was super sick one day, so he took several naps, which "felt awesome!" Khary had been angry at a colleague for a while. But this list made him realize that he needed his coworker's help with some things. 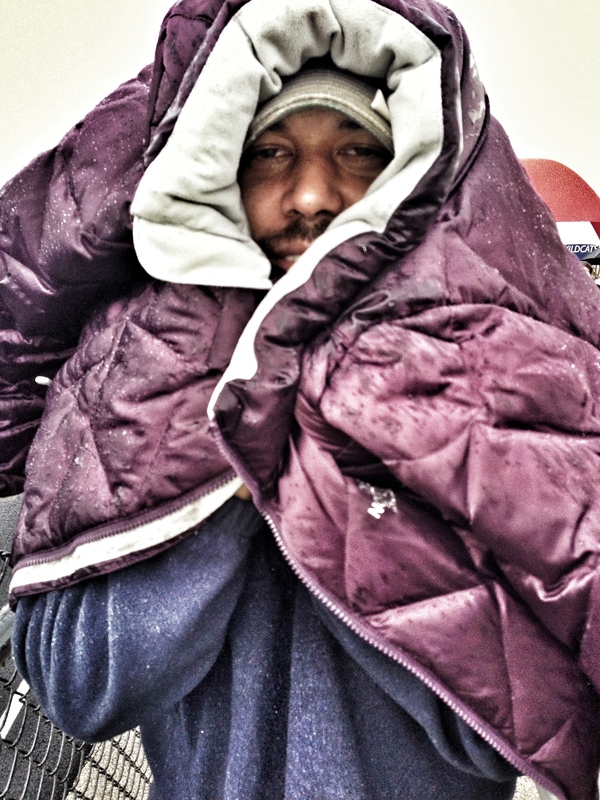 Though it proved challenging for Khary to ask for the help, he was very glad that he did. His colleague was delighted to provide assistance, and the two found that they had more in common than they'd ever realized. 31. Discover a new smell or food. Khary confessed that he's an extremely picky eater. But to check this item off the list, he vowed to be daring and try a new food: a spicy pulled pork tamale. Khary always finds snuggling with his 3-month-old baby girl "divine." Khary gave a bunk bed to a neighborhood family who is adopting a child from Latvia. 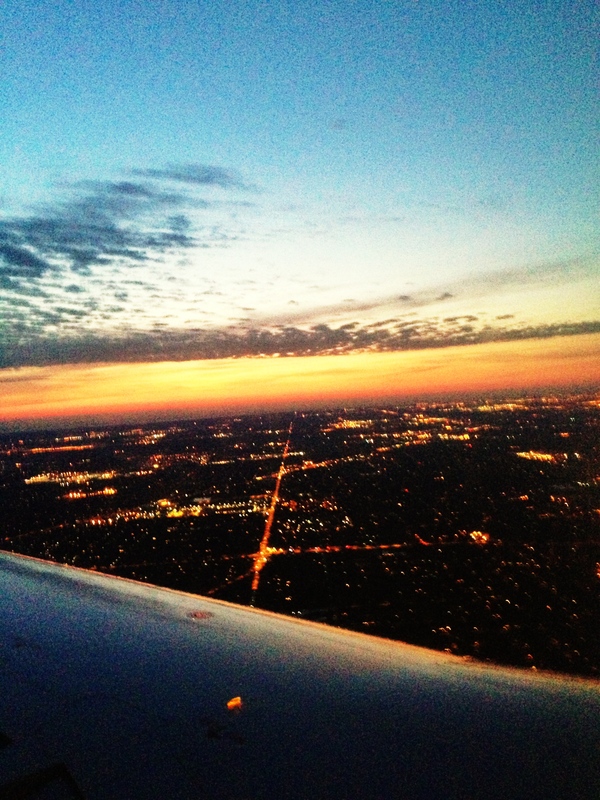 Khary watched this sunrise above Chicago from a plane. He marveled, "It was almost like watching it with God." Khary celebrated his three-month anniversary of quitting smoking while we were on this joy journey together. He had tried to quit several times before, but could never make it stick. The week before his youngest daughter was born, he promised himself that no matter what, he would do it. Although he found it hard, he said the most challenging part was committing to quit, not the quitting itself. "I am not a smoker. I am not a smoker. I am NOT a smoker," Khary chanted. "Cuz FCUKSMOKING!" 37. Eat a cupcake--with no hands. This was the first item Khary accomplished on his 40 Days of Joy journey. He added the part about eating the cupcake without hands. 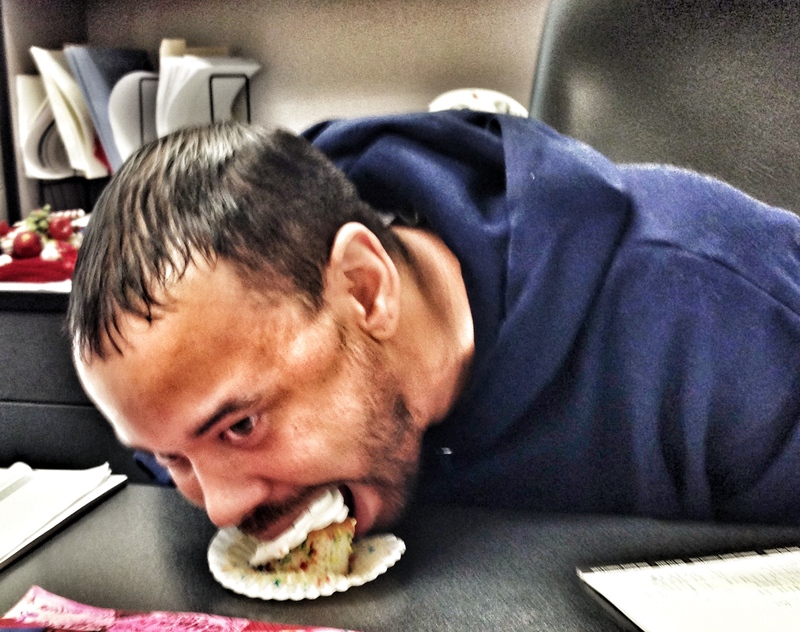 "You simply cannot be upset about anything major if you eat a cupcake with no hands," Khary said. "It takes the anger away. Removes the stinger from the bee." Khary and his wife were going to have a candlelit dinner one night while their son was away, but he ended up returning home early. So all three of them shared a candlelight dinner together. "Their smiles are worth it still," Khary raved. "I hated this one!" Khary, who lives in Wisconsin, said. It was 48 degrees that day, and the wind was kicking up. He was miserable being outside, but he didn't want to miss his daughter's track meet. So he saw it through. A few years ago, the business that Khary founded and worked hard for many years to build closed. He had "a laundry list of people and reasons to blame," but the real reason, he knew, was that he made "too many mistakes." At the time, he felt as though his world had ended, despite the fact that his wife and kids still loved him just the same. "That's where God stepped in," Khary said. Just before he had to appear in federal bankruptcy court, he spoke to a good friend who refused to let Khary feel sorry for himself. She said, "God is always whispering to you. Sometimes he has to throw a brick at you to get your attention!" Khary said that it took him a few days to process, but he finally understood what that meant. It took God's brick hitting him in the head for him to see how blind he had been. He had been so caught up in the rat race, that he had nearly missed out on the most important part of his life: his family. I had to stop thinking logically. I had to stop trying to prove that God wasn't real, and accept that He is! I had to stop wanting to be right, and instead want to get right with God. What's so awesome about it all is that He didn't stop believing in me just because I didn't believe in him. There's real comfort in that. I surrendered! That is an awe-inspiring thing to do; to even think about! It's a self-defeating measure to fight against God's Love. And there's no way to win with that method of thinking.